Topeka – The Kansas Chamber recently added a new member to its Investor Relations team. Bryan Frye has joined the Chamber as its Senior Director of Investor Relations. “Bryan brings extensive sales and marketing experience as well as a good understanding of Kansas political affairs and the role of local and state government to this position. We are excited to have him join our team,” said Kansas Chamber President and CEO Alan Cobb. In his new role, Frye will assist Vice-President of Investor Relations Aaron Miller with expanding new and existing investor relationship, particularly in southcentral and western Kansas. “I believe Kansas is the best place to live, work and play. And the best way to continue this is by improving the economic climate for every business in the state. As part of the Chamber team, I will work to support a pro-business environment that helps create more jobs and greater profits for our Kansas businesses,” Frye said. 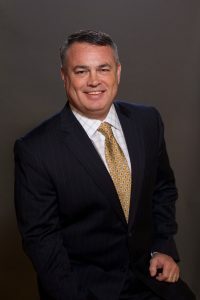 Frye currently serves on the Wichita City Council, representing District Five, and is the Council’s Vice-Mayor. He will continue to serve on the council. Most recently, Frye worked at Bonvera in Wichita as the Director of Marketing. There he developed multiple private label products and packaging and managed multiple social media, advertising and promotional support campaigns. The company’s membership grew to more than 15,000 in less than three years. Prior to Bonvera, he spent more than 25 years in the broadcast industry overseeing marketing and creative services, first at KSNW-TV and then at KAKE-TV. Frye’s community involvement includes serving on the board of directors of Visit Wichita and the Old Cowtown Museum as well as volunteering with the Wichita Wagonmasters, the Arts Council and the Sedgwick County Zoo. He is a graduate of Leadership Wichita, Class of 1999. And he earned a Bachelor of Business Administration in marketing from Wichita State University.